Apologies for not having updated this website for some time but rest assured that the MPLR is still up and running! 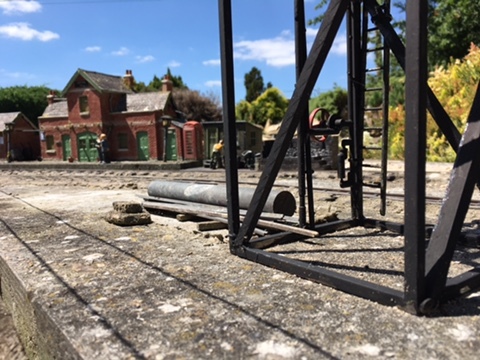 Moreton Pit Light Railway is a 16mm garden railway running on 32mm gauge track (Peco SM32). 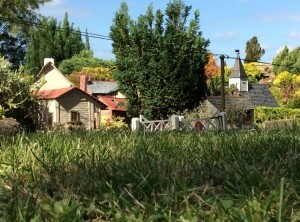 It is roughly scaled at 16mm to the foot and even more roughly follows British Narrow Gauge practice. The MPLR runs both live steam and battery powered “diesel” locomotives with a wide range of rolling stock, both goods and passenger, a lot of which is made by ourselves. All the buildings and track remains in the garden all year round and obviously has to be built to withstand the British weather and climate, plus has to be strong enough to being exposed to all types of wildlife! 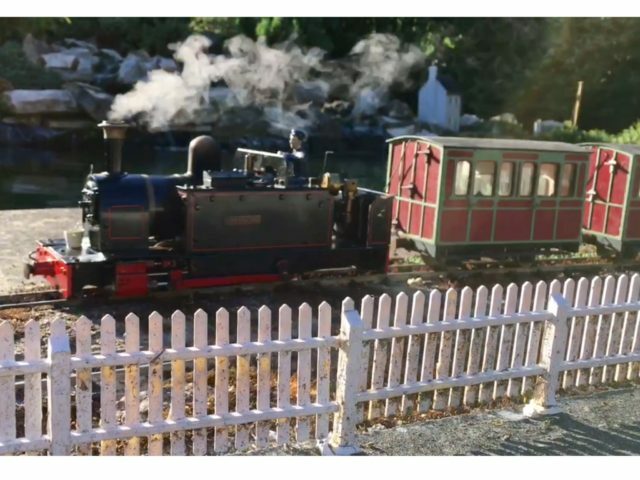 To find out more about the story behind the MPLR and to see the sort of wildlife that visits the garden of the railway please use the list on the left hand side of this page to navigate to the appropriate pages. The Diary Pages gives up to date news of what has been happening on the MPLR and is updated at least once a month. 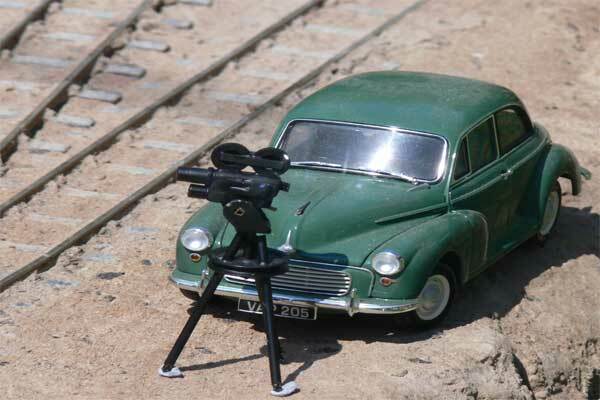 Moreton Pit Light Railway is a member of the 16mm Association of Narrow Gauge Modellers. 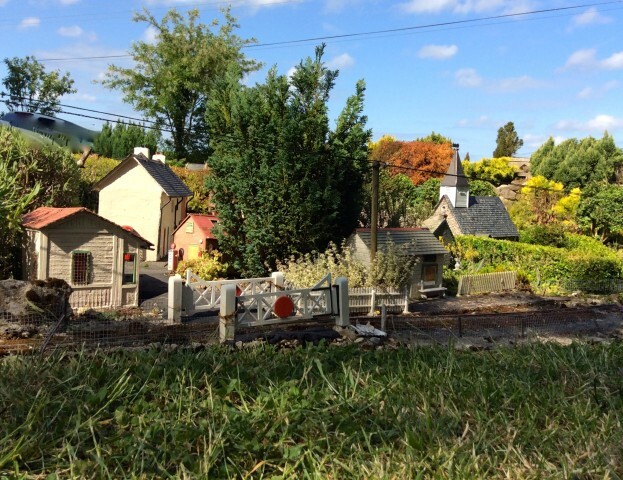 To find out more about 16mm model railways why not check out the 16mm Narrow Gauge Society website at www.16mm.org.uk or use our own Links Page to go straight there. Well worth a look. Pits Productions is the MPLR’s own video crew! They have been very busy over the past couple of years and have produced a number of videos which can be viewed on Youtube plus a few more that are only available for purchase as a DVD as the picture is of much higher quality and a longer length. The Pits Productions page is always kept up to date of the films available so regularly check to see what is new! They are a mixture of ‘documentary’ type films, very good insight into the goings on of the MPLR , plus a few short ‘fun’ films. The railway, like this website is a ‘work in progress’ so please drop by to see what’s new! If you have enjoyed viewing this website you can always send us a comment by emailing us on Pits.Productions@gmail.com we would love to hear from you, we don’t get many emails!